Speaking only for me, myself, & I, I'd encourage anyone sitting in an interrogation room or called in "just to talk" to the cops, to give my friend Rick Collins or any other competent attorney a call - FIRST. Rick is not just a good person but an amazing lawyer, he went to bat for me like no one else could have. He fought my case and I should have gotten no less than 3-4yrs but he brought it down to 12mo 1day. Where the prosecutor initially wanted 5yr. I didn't have just a couple vials here, I had enough to supply every football team in the world for the next 10yrs. Unlike any other drug-lawyer, he knows about the actual law regarding possession, importation, manufacturing, and distribution (or commercialization/rebranding) of non-scheduled chemicals. But most importantly, he understands the difference between what the Law says and what Law Enforcement does. If anyone has to make that first phone call, then you have to, and must, call Mr. Collins. As I was being charged with, needing 2 hands to count them on and with for the numerous charges that they came out to be. 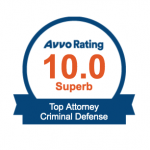 But upon all the charges, not only did Rick enable and get just about every charge dropped, through his relentless efforts and dedication to my case and to me. I can't recommend Rick Collins highly enough! If you have a case that involves steroids/anabolics there is just no other choice! I'll try to make a long story short: I was completely framed by an Informant who was guilty of several felony charges of drug possession, distribution to minors, etc. He got to remain free & continue his "business" if he turned in others. 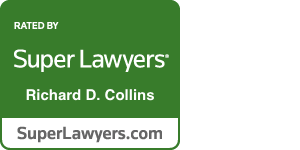 I would like to highly recommend the expert services of Rick Collins as legal defense in any case involving possession/PWID of Anabolic Steroids or illegal performance enhancing drugs. Rick has literally written the book on this matter, Legal Muscle. In addition he writes a monthly column in the famous international publication Muscular Development; his column found within is entitled BUSTED, stemming from the ground breaking 15pg article in MD written in Sept 2001. Super Extraordinary. I heard a very tough Federal Judge use the words Super Extraordinary in reference to Mr. Collins right after his final statement to the court. I couldn’t agree more…I am forever indebted to you Mr. Richard D. Collins!!! I wanted to thank you sir, most of all for actually calling me back and within hours when I am a nobody as far as money I am in the military so don't have much of it. I can’t even get a lawyer in my own state and city to call me back and here you are Mr. Collins a legend in the bodybuilding community and a famous lawyer bodybuilder in the professional community and you took the time to call me back. When I first met Mr. Collins I was put instantly at ease. His knowledge and calm confidence of my situation was a huge stress relief. There is simply no one who is better qualified to handle my situation.